Upgrading your aging laptop to a Solid State Drive (SSD) is hands down one of the best upgrade choices you can make right now. 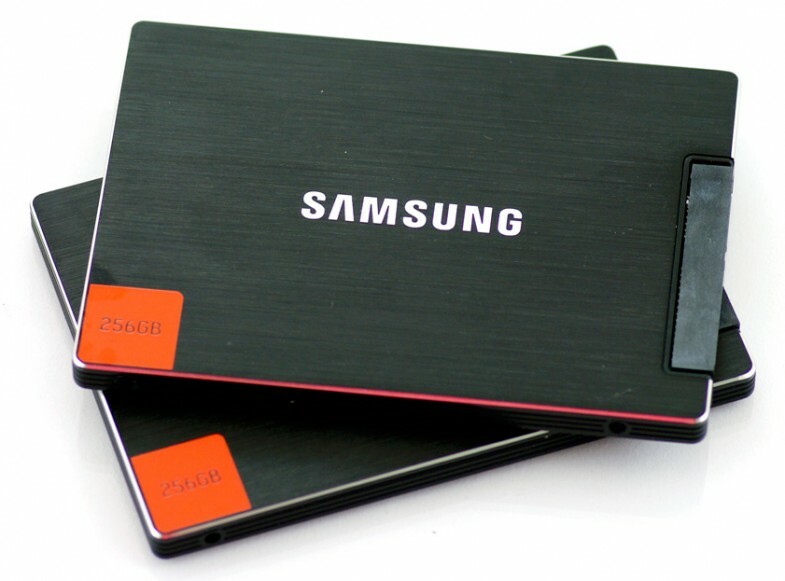 The cost of SSD drives has just come down and if your hard drive controllers support 6Gb/s transfer speeds then you can take advantage of the lightning quick solid state drive technology. 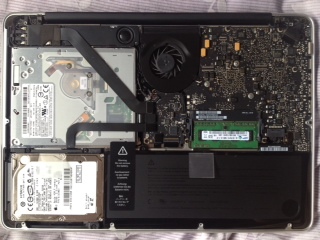 In this post I’ll be specifically talking about upgrading the 13″ Macbook Pro’s from Early 2011, however the procedure is nearly identical for most unibody Macbooks. The are a few things you’ll need first. 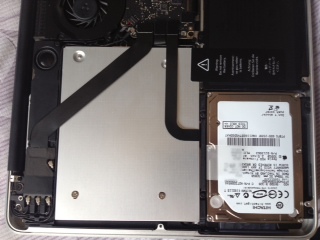 An SSD Drive. 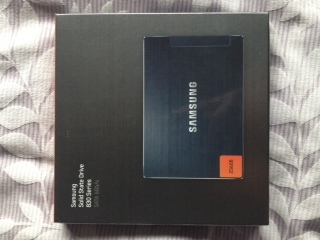 I went for the Samsung 830 series as it was the most reliable and performed the best out of all the reviews I’ve seen. It was also one of the best value drives on the market at time of writing from ebay. You’ll then need the optical drive bay caddy. 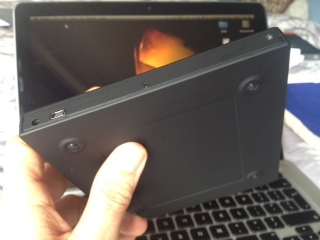 This replaces the optical drive with an adaptor caddy which your new SSD will sit in. 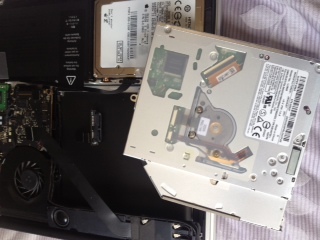 I went for the bundle package which includes the tools (T6 and Philips #00 screwdrivers) and an external optical drive inclosure which will house and run your old optical drive when it’s removed from inside the macbook. You’ll also need a bit of software to clone your drives when its finished. I use SuperDuper, It’s free and easy – two qualities I admire in day to day life. The rest is as easy as following this YouTube clip. Enjoy!